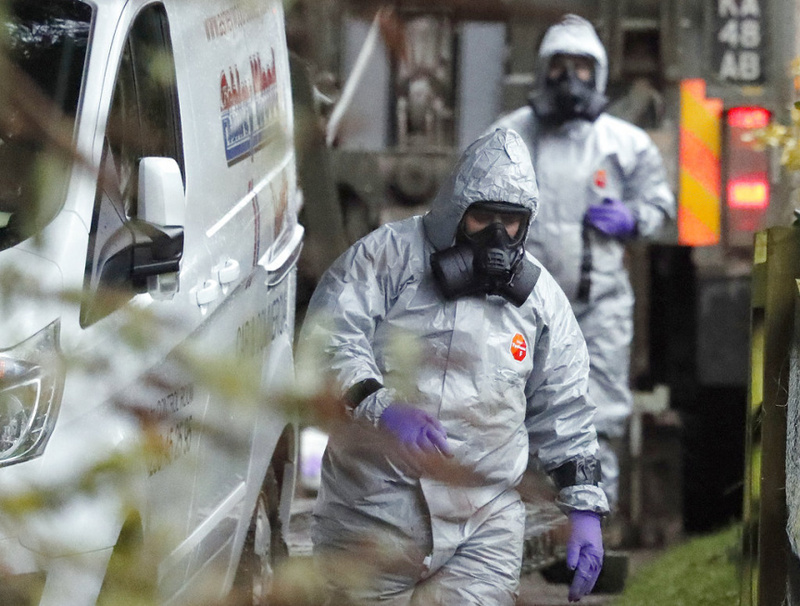 LONDON (AP) — Britain's government is considering how to deal with the poisoning of an ex-spy as it awaits a Russian government response to its claim that Russian was involved. Officials said Tuesday Prime Minister Theresa May is reviewing a range of economic and diplomatic measures. May has said it is "highly likely" Russia was involved in the nerve agent poisoning of 66-year-old Sergei Skripal and his 33-year-old daughter Yulia. Both remain in critical condition. The prime minister says Russia has until the end of Tuesday to explain its actions in the case, which focuses on a former Russian military intelligence officer who was convicted of spying for Britain and then released in a spy swap. Former foreign minister David Miliband has urged May to seek support from Europe and the United States.